Grant will discuss the various required laboratory tests that need to be conducted periodically according to NFPA 25: Standard for the Inspection, Testing, and Maintenance of Water-Based Fire Protection Systems. Furthermore, the discussion will dive into the outcomes of the foam concentrate and sprinkler periodical laboratory testing to date at Dyne Fire Protection Labs. What are the requirements? What are the common reasons for failure? Why might the failures occur? The presentation will look to answer these questions to give a better understanding of how the laboratory tests affect a building owner. A tour of the laboratory will also be given. Grant Lobdell is the Lab Manager at Dyne Fire Protection Lab. He started his career with Dyne analyzing foam concentrates. Please plan to attend this important informational event. 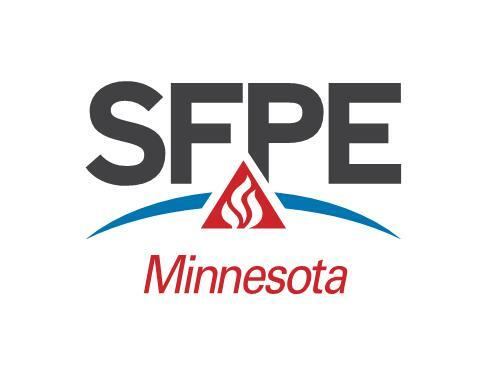 We encourage you to pass this invitation on to co-workers, professional acquaintances, friends, and others that would be interested in this program and our MN SFPE chapter. As Dyne expanded into sprinkler testing, Grant expanded his knowledge of the fire protection industry and his position at Dyne. Grand currently serves as an alternate to the chair of NFPA 11: Standard for Low-, Medium, and High-Expansion Foam. He also actively participates with the NFPA 25 technical committee and the NFPA Automatic Sprinkler Research Council. Grant has a degree in Chemistry from the University of Minnesota. Reservations must be made before 4:00 pm Monday, October 22, 2018.